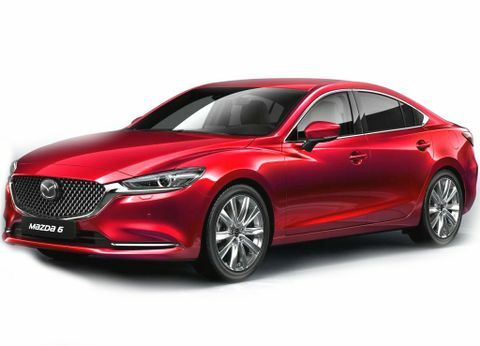 Rivaling the Volkswagen Jetta , the Mazda 6 is a sedan aimed towards those who wish to challenge the status quo and stand out from the crowd. Head-turning in the looks department, the 6 bears dimensions of 4.85 meters, 1.84 meters, and 1.45 meters , length, width, and height respectively. Hiding a practical 2.0-liter 4 Cylinder engine under its sculpted hood, the Japanese sedan is good for 151 horsepower and 200 Nm of torque. Sending its grunt through a Front Wheel Drive layout, the 6 tackles 100 km/h in 10.2 secs and packs a top whack of 210 km/h. Starting at OMR 7,800 and with two versions on offer, the Mazda 6 is for those who know what they're after and aren't willing to sacrifice. Looking for Older Mazda 6 Models? Looking for Used Mazda 6 Instead?